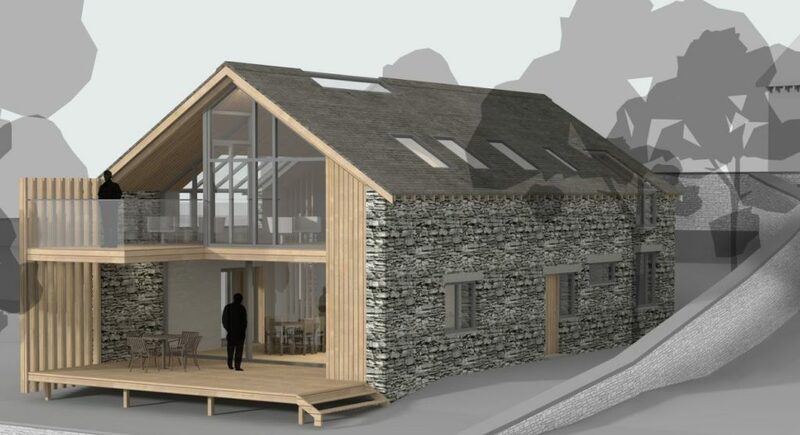 Based in the Lake District National Park, Ben Cunliffe Architects design innovative, elegant, sustainable architecture. Established in 2001, the company has brought together a talented team of architects and designers who endeavour to make design and construction extremely environmentally conscious and fully aware of the carbon footprint a new build can create. They are at the forefront of creating low energy sustainable buildings which incorporate a wide range of green technologies – from solar, bio-fuel and ground source air source in their schemes to self-contained waste systems and reed bed filtration systems. 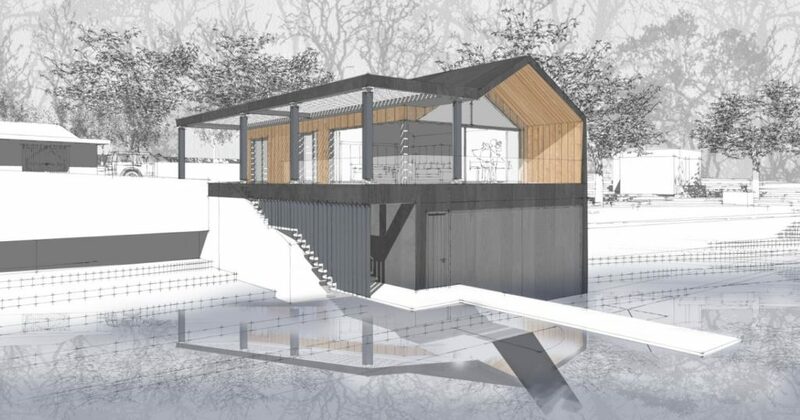 I chatted with Ed, one of the designers and technicians at Ben Cunliffe, about sustainable construction, how SketchUp staves off repetitive strain injury, and the important issue of whether he’d rather live in a house in the forest or a house by the beach. Hi Ed! Can you introduce yourself and your team to the SketchUp community? My name is Ed Newcome and I’m a designer and technician with Ben Cunliffe Architects. We’re a mid-sized, award-winning architectural practice based in the south Lake District. Our projects are predominantly residential or small commercial, and all are highly bespoke and individual, with project costs in the region of £200,000 to a bit over £1 million. How did your team get going with SketchUp – and why SketchUp? We have always used SketchUp for visualising projects in 3D to clients. 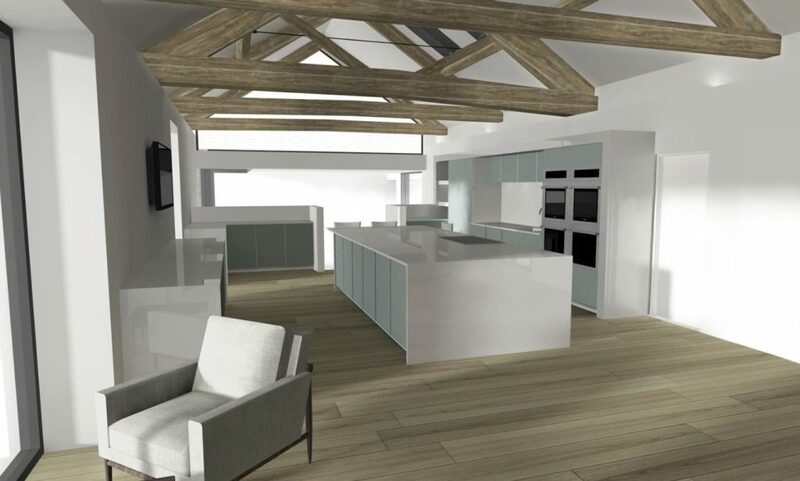 We love the speed and ease with which SketchUp can bring our ideas to life, and we find it an invaluable aid to communication with clients, planners, builders, engineers, joiners and other trades. We have a large TV on the wall in the office and we frequently take clients on a tour around the project using that. Clients will often comment on the designs and we can make alterations as we go to experiment with different ideas. Typically, the concept designs will be outlined on tracing paper by Ben Cunliffe. We then take the designs into SketchUp to develop the design and to illustrate the ideas to the clients. Once we have agreement on a scheme, we produce planning drawings with Layout. .
How important is the sustainability aspect to Ben Cunliffe Architects? What are the challenges for environmentally conscientious design and construction? As a practice, BCA is strongly led by environmental principles and sustainability. As a lot of the houses we work on are old, historic houses, it can be difficult to implement modern technologies and standards, but we do our best to deliver efficient, high performing and environmentally sound buildings. Most of our projects incorporate renewable technologies, and some of the new houses we’ve designed have been built using SIP panels. What about your own dream house? City dweller, beach, forest? Personally, I like the mountains, so I’d love the opportunity to design a spacious pad deep and high in the hills. There have been some fantastic modern chalet projects in the European alps in recent years. Being able to ski from the door in the winter would definitely be a bonus too! What’s been the most challenging/proudest piece of work you’ve produced? Every project has its own particular challenges as each building and site we work on is totally unique. From a SketchUp perspective, on a recent job we had all the contractors querying how a particularly awkward roof structure was going to go together, incorporating steel, oak purlins and timber rafters. It was great to be able to work this all together in 3D, which put everyone clearly in the picture! Are there any plug-ins that you’d consider absolutely essential? Solid inspector, 1001 bit tools, Mirror, Follow push pull – to name but a few. Any keyboard shortcuts you couldn’t live without? All my keyboard shortcuts are assigned over to the left hand side of the keyboard so I don’t have to move my hand around while I work. (Prolonging the onset of RSI and speeding up the workflow). I use shortcuts for every single tool as far as possible, with others mapped to the extra buttons on the mouse. (I have a 9 button mouse for modelling). Finally, in a parallel universe, if you weren’t doing what you do for a living now, what would you choose? If I hadn’t got into architecture I would probably still be doing various dead-end jobs and puzzling over how to earn enough money to pursue my hobbies and sports while doing very little work at all. I’m not sure this actually exists in reality, but luckily I love what I do now so it’s a less pressing concern. To view more of Ben Cunliffe Architect’s work head to their webite, follow them on Twitter, Facebook, Instagram, and Houzz. 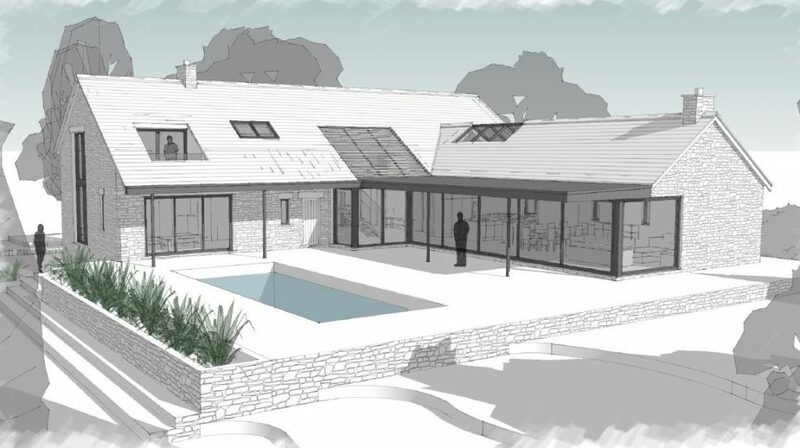 Ben Cunliffe Architects were introduced to us via UK reseller TCS CAD & BIM Solutions. One of the main benefits of purchasing through a local reseller is to take advantage of their product expertise and training.